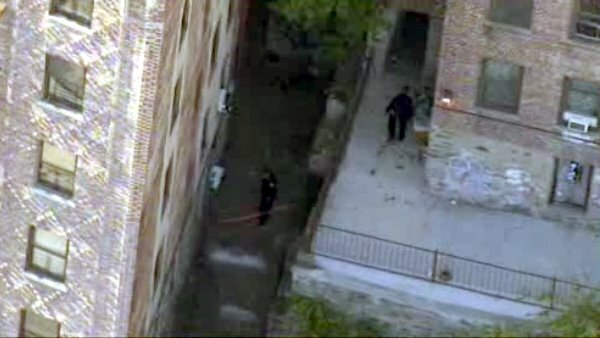 NEW YORK -- A 6-month-old girl who was rushed to the hospital in cardiac arrest after she was thrown out window in the Bronx Thursday afternoon has died. The incident happened on Tiebout Avenue in the Fordham section around at 1:49 p.m. Responding officers rushed the child in a police cruiser to St. Barnabas Hospital, where she was pronounced dead at 2:28 p.m.
Officers detained a 25-year-old woman, possibly the mother, at the apartment, where they found three other children. She was transported to Bronx Lebanon Hospital for evaluation. The other children, ages 4 to 10, were taken to St. Barnabas for precautionary evaluation. Witnesses say the woman was shouting about the devil and that the world was going to end before she threw the child.